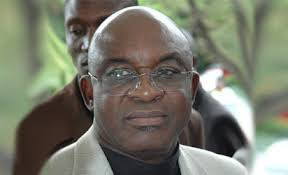 There were revelations yesterday on why former Senate President, Senator David Mark, was arrested and quizzed by the Economic and Financial Crimes commission (EFCC). A source in Mark’s camp told The Nation that the EFCC wanted the former Senate President to account for the campaign cash sent to Benue State by the campaign team of former President Goodluck Jonathan in the build-up to the 2015 presidential election. But the source said that EFCC was merely chasing shadows because Mark was never a part of ex-President Jonathan’s campaign team. “EFCC is chasing shadows, all the allegations border on sheer politics because 2019 poll is around the corner,” the source said yesterday. It added: “They asked Mark to account for campaign cash sent to Benue State when Oga (Mark) was not part of ex-President’s Jonathan’s campaign team. “In fact, the campaign team in Benue State was coordinated by ex-Governor Gabriel Suswam. The former Senate President was kept in the dark. While Mark’s camp believes that his arrest by the EFCC had political undertone, a source said the former Senate President may issue a formal statement today (Saturday) on what transpired between him and the EFCC. It was learnt yesterday that the EFCC had raised a new team to grill the former Senate President on Monday on the alleged campaign cash suspected to have been sourced from the Office of the National Security Adviser (ONSA).